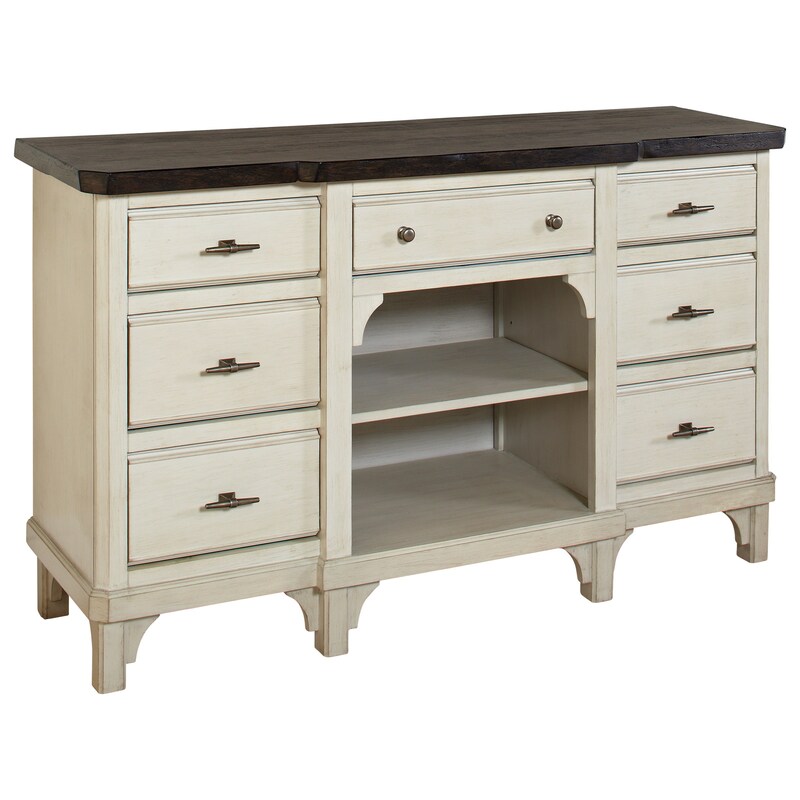 This elegant sideboard adds timeless style to your dining setting. Featuring seven drawers with side-mounted ball bearing guides and felt-lined top drawers, the sideboard also includes a middle open storage area with an adjustable shelf. Completed with beautifully-sculpted feet and a thick top, this sideboard and its two-tone finish add wonderful storage to your home. The Mystic Cay 7 Drawer Sideboard with Adjustable Shelf at Miskelly Furniture in the Jackson, Pearl, Madison, Ridgeland, Flowood Mississippi area. Product availability may vary. Contact us for the most current availability on this product. Storage Seven drawers with ball bearing guides and felt-lined top drawers. One adjustable shelf.